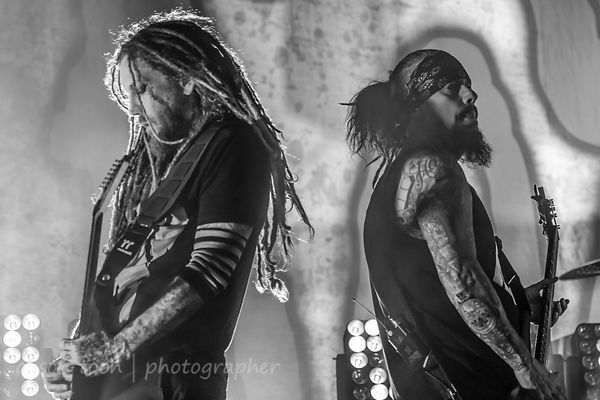 Toon's Tunes : Korn at Chicago Open Air; photos: and a new video, new album on the way... preorder now! 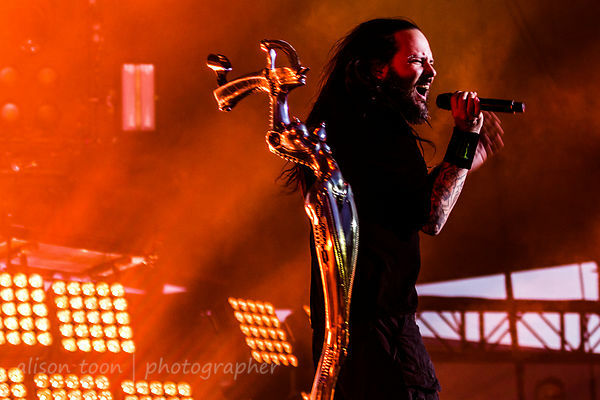 Korn at Chicago Open Air; photos: and a new video, new album on the way... preorder now! 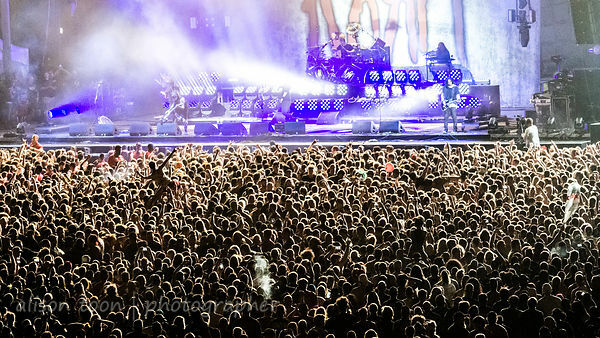 Performing before arguably the most intense crowd of the Chicago Open Air weekend--Korn. A good, strong, festival set of Korn songs: opening the show with Right Now from 2003's Take A Look In The Mirror, premiering Rotting In Vain from Serenity of Suffering (see below), and through to Freak on a Leash, they kept the audience rocking, surfing, and moving like a giant Korn-powered monster with a life of it's own. 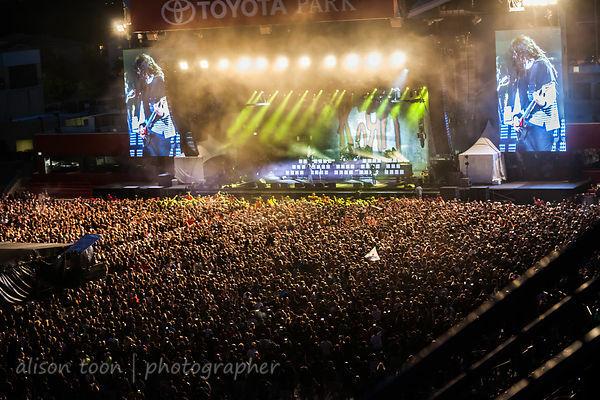 Loads more crowd photos in the photogallery! There's something very very special about a live Korn show, not least of which for any art-movie-sculpture fan, seeing the beautiful H.R. 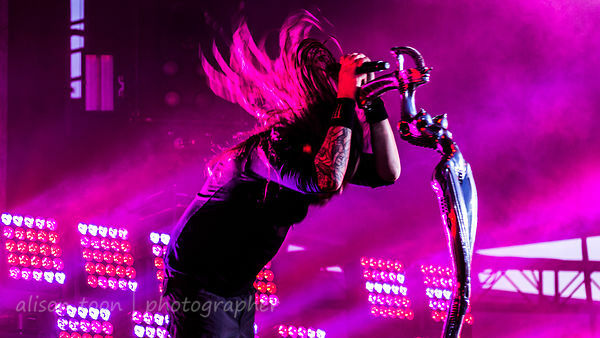 Giger-designed microphone stand that Jonathan Davis uses as his partner, muse and headbanging support, center stage, a stunning piece of work. Wild, energetic, and wonderful. 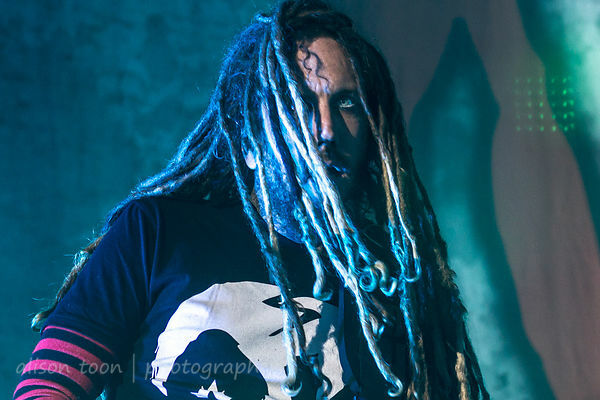 That's Korn. Currently on tour .. see if you can catch them! And then: October 23rd, at Aftershock in Sacramento! Absolutely not to be missed! ... and another, Munky on the big screen, crowd going wild... let's make this happen again at Aftershock in October!! !